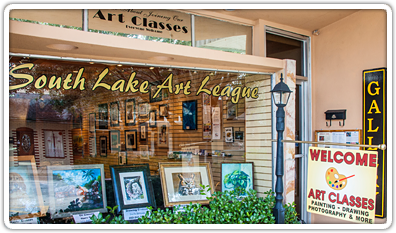 The South Lake Art League (SLAL) members meet six times a year at the Montrose Gallery, 776 W. Montrose St., in Historic Downtown Clermont, Florida. The SLAL was founded in 1966 and maintains a fiscal year of June through May. There are two Member Art shows and two member Photography shows each year, Fall and Spring. Classes for all types of Art are available. To encourage and promote all forms of art and its appreciation throughout the South Lake County area. To bring together and encourage people that are interested in the Arts. To cooperate with other organizations having similar ideals and purposes. To further the opportunities for participation in classes, workshops and shows. To support the Arts within the greater Clermont and South Lake County area.